Celebrating over 13 years of Musical Fun with Families! Join our fun-filled music classes for babies and toddlers up to 3.5 years! Explore music with songs, instruments and dance, a great way to enrich your child's life! Music is important to your child's learning and development. Playful songs and action rhymes are word toys, fantastic training for your child's memory, communication and language skills. Music is also known to nurture emotional, social and intellectual growth in children. 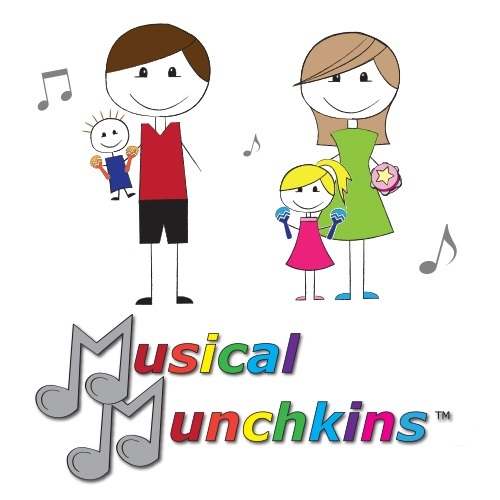 Musical Munchkins™ supports and encourages the important role of music with playful songs, fingerplays, action rhymes, instrument play and dance in a stimulating and interactive environment.